Imad Wasim - Rising star of Pakistan Cricket, Syed Imad Wasim hailing from Wales appeared in the area of Cricket at the age of 18 when he represented Islamabad for First Class Cricket Match against Quetta in 2007 for Quaid e Azam Trophy. Imad Wasim represented Pakistan’s under 19 team in 2006 World Cup and also captained the team in 2007. Left Arm spinner Imad Wasim was the star in the Youth Test where he led the team to 1-1 draw and glorious victory against England in ODIs by 3-1. This is just the beginning as Imad Wasim played a convincing part in 5-0 victory over Australia on home ground where he bagged 12 wickets. Imad Wasim grabbed twelve wickets haul against Bangladesh under 19 team in a close 3-2 loss. The year 2008 brought glory to Imad Wasim as he was named captain of the U-19s for the World Cup in Malaysia. He did a great job in playing his part to lead his team to Semi finals of World Cup U-19 2008. After 7 years Imad Wasim made his appearance in national team. He impressed the spectators on his debut ODI match against Sri Lanka by picking 2 wickets and economical bowling figures. 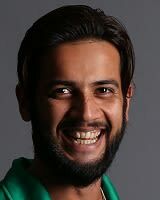 You can access Imad Wasim profile and statistics of batting, bowling and fielding including latest updated news of Imad Wasim, videos and images at Hamariweb.com. Also find detail Player profile and career statistics of Imad Wasim. Find latest updated news of Imad Wasim, videos and images at Hamariweb.com. 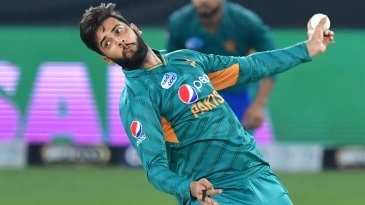 Find Imad Wasim profile and stats of batting, bowling and fielding including latest updated news of Imad Wasim, videos and images at Hamariweb.com. Also find detail Player profile and career statistics of Imad Wasim of Pakistan. Imad Wasim is very young and talented cricketer, the way he bowled is excellent because he is an economical left arm spinner as well he is a great fielder. He should proof that he is also a batsman. Due to the line and length Imad Wasim is the most economical bowler in T 20. He should concentrate on his batting because as a hard hitter he can serve Pakistan for a long time. Imad Wasim is young, energetic, and can be transformed into a great cricketer. He has the potential but needs to focus on the game and improve to become a professional cricketer. The ability of fielding in imad Wasim is quiet impressive, I also like the batting style but he is not a permanent member of the team. I hope he will make his place due to his performance. 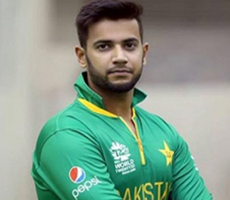 Imad Wasim - Find Imad Wasim of Pakistan Cricket Team complete player profile, number of matches, runs score, wickets & catches, Statistics, Records, Imad Wasim Latest News, Imad Wasim Videos, Imad Wasim Photos, and other Imad Wasim Cricket Team players.